Choosing the right road bike type is crucial. 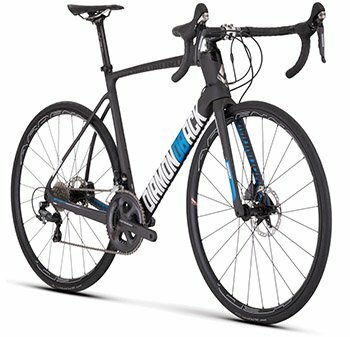 One thing that you don’t want to do is get confused by the different road bike types and just pick one based on price. The road bike market is pretty saturated today and there are several different types of bikes on offer. Years ago, it was simple, if you wanted a road bike, then you got a drop-bar aluminum road bike with skinny tires. Not today. Endurance or so-called sportive bikes are becoming very popular. Not only in road bike buying guides but also on the streets. You can easily find a rich selection of different endurance bikes which are gaining popularity. Sportive road bikes are just as lightweight as racing bikes. However, cutting corners is easier in a lower position. The position of sportive and endurance bikes is more upright and it is more comfortable to ride them. These bikes are intended for situations where endurance is more important than speed. There’s nothing to worry about when riding long distances (or even Gran Fondos) on these bikes. Materials of this road bike type are pretty much the same as those on racing bikes but they are designed to be more optimal. It means that you don’t need marginal gains if your riding position isn’t the fastest anyway. It is the same case with tires. They are lightweight, but they don’t have the advantage of aerodynamic wheels. To control the speed, disc brakes are undeniably the best choice. In short – a sportive bike is a comfortable version of a racing bike. Target Riders: If you like to enjoy speed without losing comfort. ✅ Long distances; first bike. Racing road bikes are made to be as fast, light and as durable as possible to fulfill the need for speed. The frame is usually made of carbon fiber to achieve low weight. Aerodynamic advantages are kept in mind so they can go fast downhill and climb without much resistance. They’re fitted with high-end components to provide accurate shifting and braking. The frame geometry of this road bike type is quite low to get the best possible aerodynamic properties. Hence, they are more uncomfortable and it takes many miles before you start to feel comfortable. Just for cruising, racing road bikes aren’t a good choice. Tires are skinny and thin to lower the rotating mass which decreases speed. Target Riders: Race road bikes are made for riders who want to take part in races and always achieve good results. ❗If you’re looking for comfort. Aero road bikes are roughly a mix of the time trial (TT) and race bikes. These types of bikes are designed to have better aerodynamic features compared to race bikes. Giant, for example, have Propel series Aero bikes. Most frames are made of carbon, following the geometry of a race bike. Also, they can weigh a bit more but thanks to geometry, the aero advantages help save time on courses that suit this bike. Aero road bikes have a low position and they sacrifice comfort to achieve it. They are ideal for long flat courses where combined with deep section rims, a lot of time can be saved. Target Riders: Those who want to go efficiently and fast on flat roads. ✅ Designed to be as aerodynamical as possible. ❗ Comfort is a word we can’t mention here. Go and beat the time! 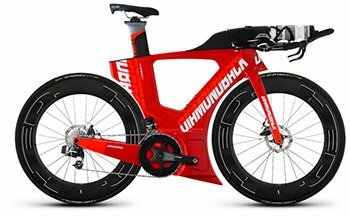 Time-trial and triathlon bikes are built specially to fly over flat roads as fast as possible. Several aerodynamical features are packed and designed for those bikes which help reduce wind resistance. Because of that, less energy is needed to travel the same distance. Viewed from the side, those TT road bike type frames are easily recognizable by their large flat tubes hiding cables, and steep angles. The position is as low as possible, keeping the body basically parallel to the ground. Aero bars are used to get this aerodynamic position. For gears, lower ratios are often used to get higher speeds because it is intended for flat and straight roads. Deep section wheels and fork are also made of carbon fiber. Everything about time trial and triathlon bikes tells you that it’s eager for speed, even for beginners. 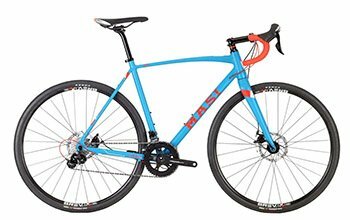 This bike type is the fastest in this road bike buying guide. Target Riders: Competitors who are looking for time trial competitions or triathlon where every second counts. ✅ Power is converted to speed, to achieve best results. ❗It is basically unsuitable for training. Recreational or fitness bikes are all about comfort. These are often chosen by riders who use their bikes to get from A to B with comfort and practicality. Sometimes they are categorized somewhere near hybrid bikes. 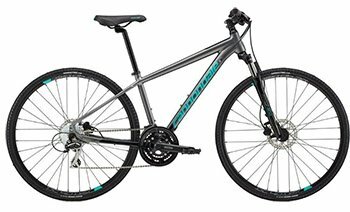 Recreational bikes are built to offer comfort with the style of best road bikes. They often have knobby tires to get the advantage over uneven roads which aren’t road bike friendly. Target Riders: Riders who like commuting around the city. ✅ A great concept of road bike advantages. ❗ Competing isn’t something you want to do on this bike. Flat bar road bikes are very close to fitness bikes. Basically, every road bike which has flat bars instead of drop bars is considered a flat bar road bike. Flat bar road bikes seem pretty similar to hybrid bikes, however, there are a few differences. Firstly, a hybrid is meant for going both on and off road, while these bikes have only road tires. Secondly, the frame geometry is slightly different, being less robust. Flat bar road bike types are gaining popularity because people in urban areas want to commute. They mostly used hybrid bikes but didn’t actually get any advantage from it. Target Riders: Ideal for riders who don’t take the fastest position on the drop bars. ✅ Great to get advantages from road bikes with hybrid bike operating features. ❗ If you plan to use your bike for training. 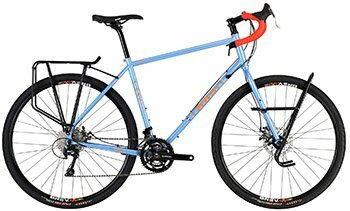 Gravel or adventure road bikes are pretty new in the industry too. This type of road bikes typically has a higher bottom bracket for optimal performance on all roads. You don’t want to mix these up with touring bikes because they still keep performance in mind. Touring bikes, however, are meant for traveling around. That’s why they have fender and rack mounts and better pedaling gear ratios as well. Steel frames and wide tires (30+ millimeters) are often found on these bikes. Disc brakes are preferred. The riding position is more upright. Target Riders: Riders who want to go on long journeys with everything necessary with them. ✅ Great commuter for long distances, very versatile. ❗It isn’t meant for racing or fast commuting. Cyclocross bikes are a mix of mountain and road bikes and that’s why we can’t leave this class out. Sometimes they are categorized under adventure bikes but they shouldn’t be. Basically, CX bikes are a mix of a road bike frame and mountain bike trail properties. The reason behind it is that most people will never push their cross-country mountain bikes to the extreme. Cyclocross bikes are intended for technical competitions. Their riding behavior also falls in between a mountain bike and a road bike. They have high-level components and knobby tires. It’s one of the most popular road bike types at the moment. Target Riders: Riders who like competing with a geeky approach. ✅ The most aggressive approach to traditional road bikes. ❗Very narrow category; won’t get anywhere near a mountain bike. 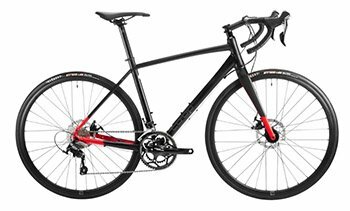 What is the right road bike type for me? Well, it’s a great question and the answer depends on you. If you plan to train, pick something with a more upright position. If you like to compete and get the best results when training, you definitely need a road bike typw with a lower position. 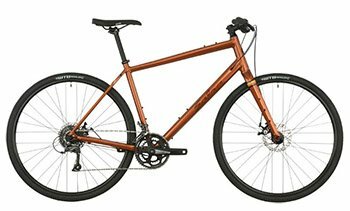 A traveling bike is an easier choice because then you only have to choose an adventure bike with fender and rack mounts. The main confusion is between racing and sportive bikes. Think for a moment, where are you going to ride today and tomorrow? Many people start by only training and they quickly find that they want to participate in races. In this case, sportive road bikes aren’t the best choice so you might want to choose a racing bike. If you’re not sure, start with a sportive since, with it, you can also compete in races. 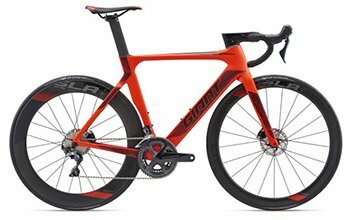 Aero and TT bikes are more specific and if you are already familiar with the road racing bike niche, you should pick these. They allow you to participate in competitions since they are meant for speed and have a totally different approach compared to road bikes. Adventure or gravel bikes, on the other hand, are meant for those who want to go on longer trips. You can also use sportive bikes for this but keep in mind that you should carry all your stuff in a backpack. We can also divide road bikes by their prices. 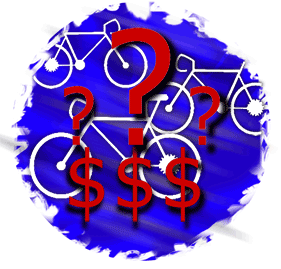 It is more subjective but people often buy bikes because of their prices, even though that’s not the right way to do it.